$5 adult and $2.50 child admission for the month of April. $20 savings on an Annual Family Pass ($80) during the month of April. Guava Shop: 10% off online sales. Ends April 30. Patagonia: 10% off Haleʻiwa & Honolulu Locations ONLY. Ends April 30. Honolulu Habitat for Humanity ReStore: 10% off ReStore purchases. Ends April 30. Kahuku Farms Cafe: a Free Drink (including Mango Tea, Plantation Iced Tea, Lemonade, Lilikoʻi Cooler or Ginger Cooler) with purchase of an entree. Ends April 30. Kaʻiulani Spices: 10% off all online sales. Ends April 30. Garden Bistro at Waiāhole Nursery a Free Small Shave Ice with any entree purchase through December 31, 2019. Members, be on the lookout for an email detailing how to take advantage of these special offers. 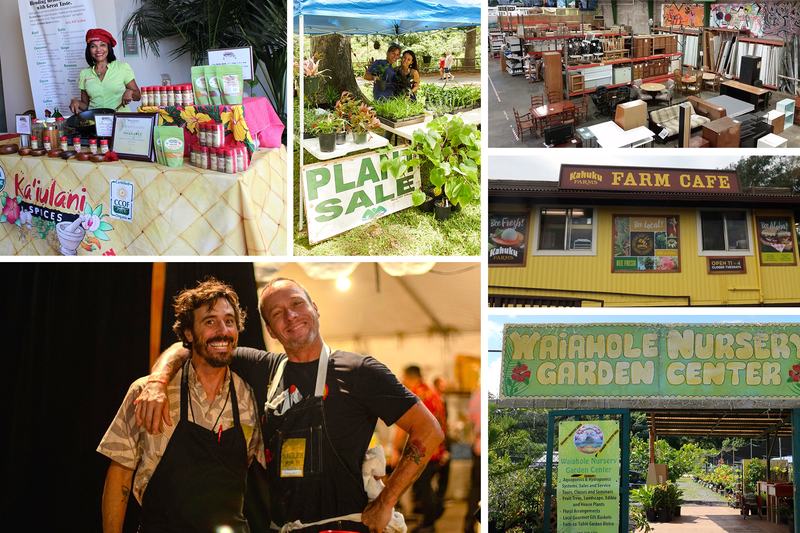 Please encourage your friends and family to become Kōkua Hawaiʻi Foundation members to enjoy these great offerings this month…and more all year long. We’ll be adding even more benefits like these as well as members-only special events held throughout the year. Your membership dollars help to support all KHF programs!